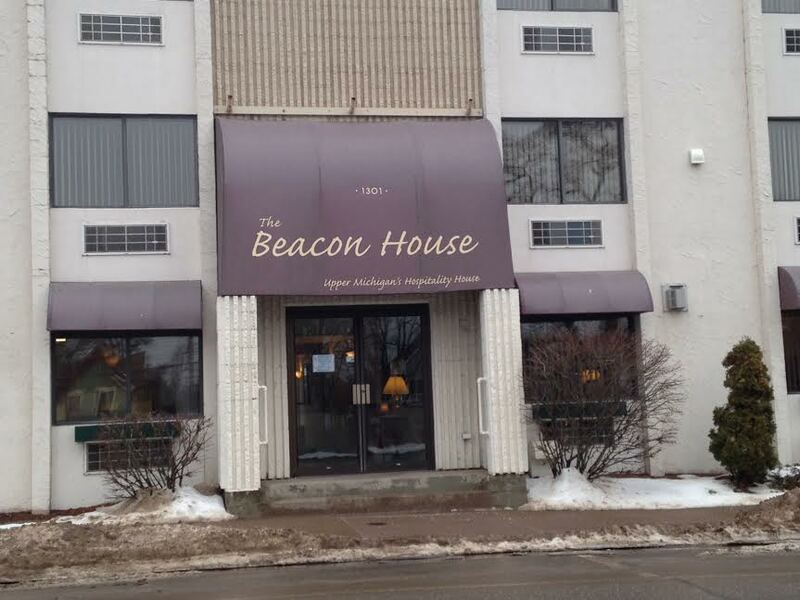 THE WORD’S BEEN circulating that the Beacon House, the much admired facility on Third Street that houses families with patients at UPHS Marquette, has been sold. Not true. A buyer submitted an offer which was accepted, but with contingencies. And as so often happens with contingencies, they were not met. The sale fell through. The Beacon House is still on the market, and CEO Mary Tavernini-Dowling says interested prospective buyers continue to look at it. Now here’s the “true” part of the rumors. The Beacon House will be closing down as of August 1st. “We’re going to run out of operating money,” Tavernini-Dowling explains. They were facing a dilemma. Once UPHS announced it was moving out to the highway, the Beacon House decided it had to move there, too, so the families could stay close to the patients. But they needed money to build the facility, so they started a a capital campaign. They’ve raised $1.4 million so far of the necessary $3 million. Unfortunately, however, with the emphasis on the capital campaign, they had to cancel their annual fundraising campaign for operating expenses–most notably the Celebrity Golf Classic. It’s too tough, Tavernini-Dowling says, to ask donors to give twice–for both the capital campaign and for annual operating expenses. So, after August 1st, where will the families go? Many will be sent to the hospitality unit in the hospital itself (current capacity: about 20) and talks are underway to see if the hospital can temporarily open up some other, unoccupied rooms. And other families will be sent to local hotels or short term rental properties. At their own expense. But Tavernini-Dowling emphasizes if a family arrives at the hospital in an emergency situation and has no money for housing, the Beacon House will figure out a way to help them. Final question: When will construction on the new Beacon House begin? Answer: When they raise $3 million in cash and pledges. Not before. Tavernini-Dowling says she’s a believer in miracles, and hopes they’ll be able to start construction later this year and open the doors of the new Beacon House late next year.